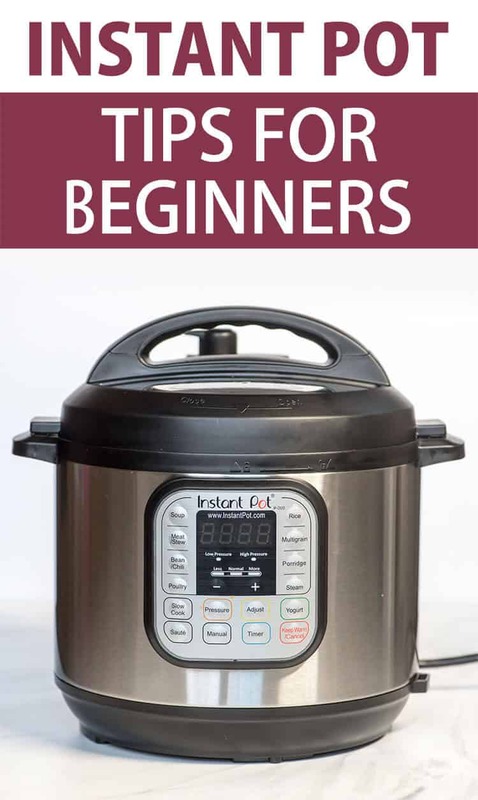 This guide of Instant Pot Tips for Beginners will give you the confidence to get cooking with your new Instant Pot! Just like a large number of you out there, I am the proud owner of a fancy new Instant Pot. I think this may be the most popular kitchen appliance since the advent of the microwave oven. So popular, in fact, that Amazon and many other retailers sold out of the coveted 6-quart model over the holidays. It was almost like the Cabbage Patch Doll craze for moms! It arrived on my doorstep a few weeks before Christmas and my mind swirled with ideas of how easy my life would be with this new gadget providing wholesome meals for my family in a matter of minutes. I squealed with excitement as I tried to explain this new device to my husband and kids and got blank stares in return. 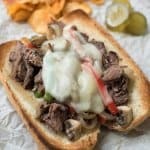 Apparently, being able to cook a chuck roast until it is fork tender in about an hour just doesn’t stir the same emotions in them as it does in me. I temporarily moved the box to the room I call my “blog room” and there it sat, unopened, for over a month. Truth is, this new-fangled appliance can be a bit intimidating. Especially if you’ve never had any experience with pressure cookers in the past. I finally found the time to pull my IP out of the box a few weeks ago and read the manual from cover to cover. 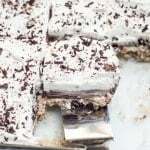 I’ve researched and read as much material as I could find on the internet and have taken some time to test several recipes. I’ve pulled together what I’ve learned so far for those of you embarking on this new cooking adventure. 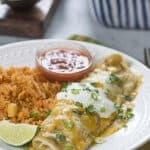 I am by no means an expert but these are the pressure cooking tips I’ve found most useful and I hope they help you get started. 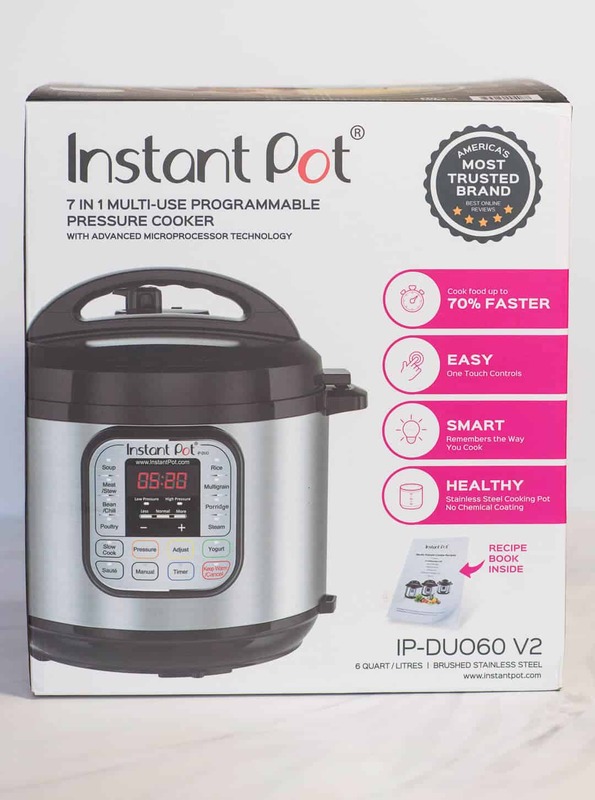 I should also mention that all of these tips are specific to my model which is the Instant Pot 6-Quart DUO60 V2. The best resource I’ve found online for Instant Pot information and recipes is Barbara Scheiving’s pressure cooking website, Pressure Cooking Today. You’ll find her name on the cover of the recipe booklet that came in the box with your new Instant Pot, along with several of her tasty recipes inside. Barbara is an expert in all things pressure cooking and if you’re looking for answers, she’s your lady. You’ll feel far more confident with your new IP after visiting her site. I also recommend joining the Instant Pot Community group on Facebook. 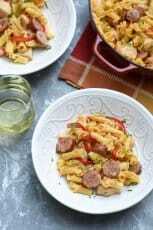 It’s a very active group where you’ll find recipes, tips, and tons of useful information. You can get answers to your questions here from other experienced Instant Pot cooks. 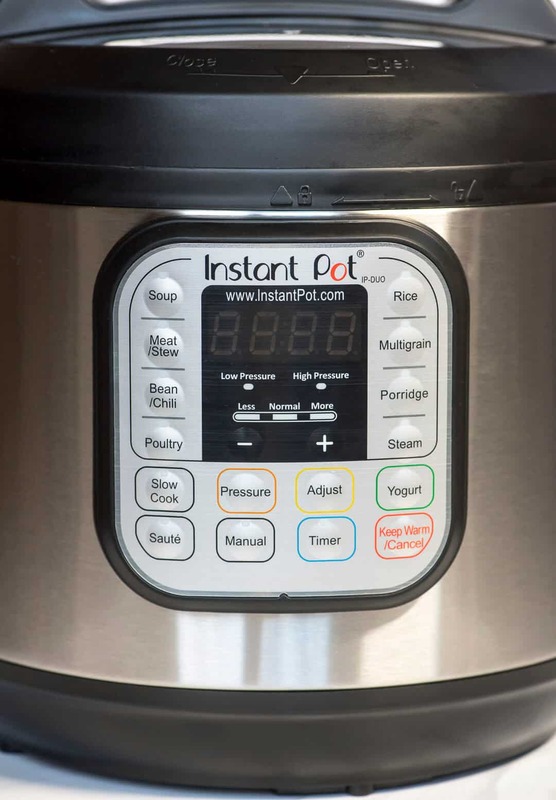 I am primarily covering the pressure cooking function in this post but the Instant Pot is a multi-function appliance that will also work as a slow cooker, rice cooker, braiser, steamer, yogurt maker, and food warmer. It also has a sauté setting that allows you to sauté veggies and brown meat. 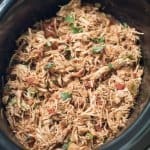 This makes the Instant Pot a superior choice for any pressure or slow cooker recipes that involve this step as you won’t have to dirty an extra pan in the process of making your recipe. I was too! I remember all the cautionary tales of the old-style pressure cookers. 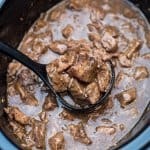 Even though I’d read everything available to me before getting started, I kept my distance the first time I used my new Instant Pot. It hissed away on my kitchen counter top as it came to pressure, and I backed away feeling a bit unsure about the whole thing. I totally get it! But rest assured. The new Instant Pot style pressure cookers have some really great built-in safety features to ensure things will go smoothly. Lid position monitoring ensures that you won’t be able to start a cycle without the lid securely in place. The lid will lock into place once the pressure cycle begins and will stay locked until it is safe to open. Dry burn detection will shut the appliance off if the contents do not have enough moisture and begin to burn. All those buttons! In this post I’m breaking down the 3 functions I think you’ll use most often. Familiarize yourself with these buttons and you’ll be ready to get started. Allows you to sear big cuts of meat, brown ground meats, and saute vegetables with the lid off at the beginning of a recipe. It’s also wonderful for simmering sauces to reduce and thicken them at the end of a recipe. You can choose from three temperatures by using the Adjust button to select Less for simmering sauces, Normal for regular browning or sauteing, or More for searing large cuts of meat. Stop the Sauté function at any time by pressing the Keep Warm/Cancel button. Allows you to manually set the pressure cooking time before the natural release cycle begins. Although the IP has 7 pre-programmed cooking function keys (Soup, Meat/Stew, etc.) most pressure cooking recipes I’ve found call for the Manual setting. To use this function, add your ingredients to the pot, lock the lid in place and make sure the valve is in the “sealing” position. Press the Manual button and the default cooking time of 30 minutes will begin to flash on the display. Use the + and – keys to adjust the cooking time and that’s it! Cooking starts automatically 10 seconds after the last key is pressed but the cooking time you’ve set will not start to count down until the IP has reached full pressure. To calculate how long it will take to prepare a recipe, keep in mind that it takes approximately 5 to 15 minutes for the appliance to reach full pressure before your set cooking time begins to count down. You’ll also need to add in the amount of time it will take for the pressure to release at the end of the cooking cycle, approximately 10 to 20 minutes more. The Manual setting defaults automatically to high pressure. If you want to cook at low pressure this can be achieved by pressing the Pressure key after setting the cooking time. Low pressure cooks at half the regular pressure and works well for cooking vegetables or other tender foods. Most recipes call for cooking at regular (high) pressure so most of the time you won’t be using this button. Allows you to cancel any function or program at any time. It will immediately cancel the program and put the Instant Pot in standby mode. If pressed while in standby mode it will activate the keep warm function which can be used with or without the lid in place. Use the + and – keys to manually select the amount and it will count up on the display. This function will begin automatically after the Natural Release process and continue for up to 10 hours. What is a Natural Release vs. a Quick Release? There are two methods to release the pressure that builds up during the pressure cooking cycle. 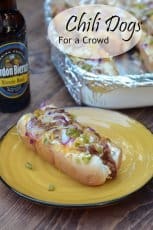 Depending on the recipe you will use one of these two methods, or a combination of both. 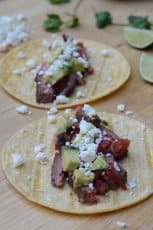 This is the method you will use with large cuts of meat which take longer to cook and other items that might be foamy, have a good amount of liquid, or a high starch content like dry beans and soups. When the Instant Pot finishes it’s pressure cooking cycle, it will automatically enter a natural release phase to slowly release the pressure. Keep in mind that the contents will continue to cook during this time. When complete it will automatically switch to the keep warm setting. At this point the lid will unlock and you’ll be able to open it. As soon as it switches to keep warm, the time display will begin and it will stay on this setting for as long as 10 hours, ensuring your food will stay warm and ready for you when you are ready for it. A natural release will typically take anywhere from 5 to 20 minutes, depending on what you’re cooking. This is the method you’ll use when you want to quickly release the pressure to stop the cooking process to prevent over cooking. It’s best used when cooking vegetables or other items, like seafood, that require a shorter cooking time. For a quick release you’ll move the valve from the “Sealing” to “Venting” position as soon as the cooking cycle has completed. Please never do this with your hands. Grab a wooden spoon or other object to push the valve and keep your hands and face away from the appliance as the hot steam releases. Once all the pressure has been released the lid will unlock and you’ll be able to remove it. This is a common method for many recipes. It consists of a partial 10-minute natural release before you move the valve and allow any remaining pressure to release with a quick release. It’s best to follow the directions given for each recipe. The lid can rest on the handles (see image above). This just plain blew my mind when I saw someone post this in the Instant Pot Community on Facebook. I had no idea and it is really so useful. Thank you, kind sir. Click HERE for the quick video. Keep your face and hands away from the pressure relief valve when releasing pressure. Use a long spoon to push the steam vent to avoid burning yourself. Your Instant Pot should be in an open area of your kitchen when in use. Don’t release steam under cabinets because the steam can damage wood surfaces over time. 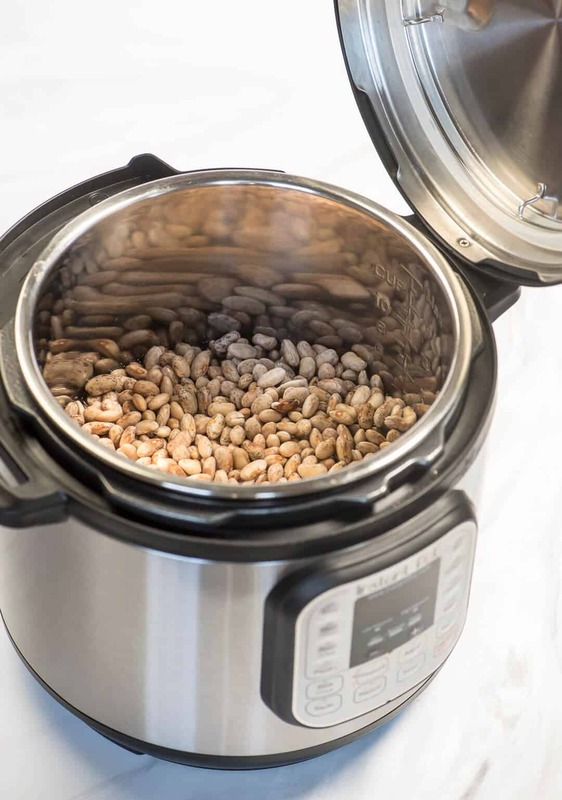 Don’t fill your Instant Pot more than 2/3 of the way and make sure you are at or under the half-way mark when cooking items that expand, like rice or dry beans. Read the manual. I did it and it doesn’t take that long. Eliminate the guesswork and go with the recommendations from the manufacturer for the best result. Your new Instant Pot should have come with everything you need to get started but over time you might want to pick up a few accessories. Your Instant Pot comes with everything you need to get started but you might want to consider some of these accessories as you begin to use it more. OXO Silicone Steamer Basket – This is the first accessory I purchased. It can be used for steaming veggies, seafood, and eggs and rolls up for easy storage. The Sweet and Savory Sealing Rings. The sealing ring has a tendency to absorb flavors. To avoid transferring strong flavors like curry to your sweets, use these separate colored-coded rings. 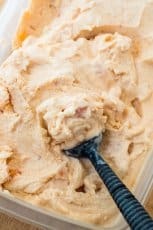 Fat Daddio’s Cheesecake Pan – I’ve yet to make a dessert in my Instant Pot but I’ve heard that it does a fabulous job with cheesecake. This cheesecake pan comes highly recommended. The Electric Pressure Cooker Cookbook: 200 Fast and Foolproof Recipes for Every Brand of Electric Pressure Cooker – This is Barbara Schieving’s cookbook and the first Instant Pot cookbook in my collection. The Essential Instant Pot Cookbook: Fresh and Foolproof Recipes for Your Electric Pressure Cooker – This cookbook was authorized by Instant Pot and looks like a good choice for the beginning IP cook. Instant Pot Electric Pressure Cooker Cookbook: Easy Recipes for Fast & Healthy Meals – A top seller on Amazon. I was so excited when I saw this post! I got an instant pot and it is still sitting in the box from a year ago! I have an electric pressure cooker I have used, but, for some reason the instant pot intimidated me! After reading your tips I am going to pull it out and try it. I have heard doing hard boiled eggs is a dream. 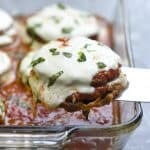 Looking forward to seeing more recipes! Some really great tips! Glad you’re loving your Instant Pot. Thanks for the shout out! Thanks, Barbara 🙂 Love the cookbook and your great site! I’m not seeing the “manual “ button! I did the same thing when I used mine the first time. I didn’t even allow the kids to come in the kitchen lol! Great tips, thank you so much! I LOVE my new Instant Pot. Growing up I was very afraid of it as my mom blew up a pot of beans in it ( it was 65 years ago). I made chicken soup this morning and I just knew the noodles would be mush. They were the best noodles, tender but not mushy. I am happy to have found your blog!